Mercedes-Benz S-Class Cabriolet Running Costs, MPG, Economy, Reliability, Safety | What Car? An S 560’s list price looks cheap next to that of an Aston Martin DB11 Volante, but it is higher than a BMW M850i Convertible's. However, considering the sort of figures we're talking about, the step up shouldn't be a problem for the majority of buyers. It's a step up worth making, too. The S-Class Cabriolet is superb at being a comfortable, refined cruiser roof up or down, and it offers performance and handling to enjoy, should the situation arise. The Aston also offers far less interior space, while the BMW’s interior lacks the visual pizazz that many buyers at this price point will be looking for. The AMG models are even more or a financial commitment; the S 63 commands another £25k over the S 560 and the S 65 costs a staggering £80k more. Really, unless you’re purely interested in bragging rights, we’d suggest saving the money and going for the already quick base model. For what it’s worth, the 560 also uses the least fuel and emits the least CO2, although its figures aren’t exactly low in the greater scheme of things. 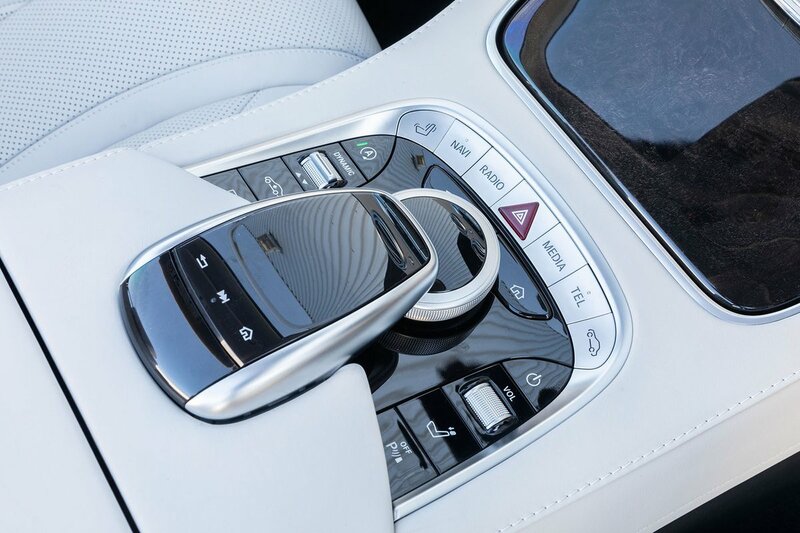 It’s not like you need to dig deep into the options list with the S 560, either. AMG Line trim brings luxuries such as 19in alloy wheels, air suspension, climate control, automatic LED headlights and auto wipers, heated and electrically adjustable front seats and heated rear seats, sat-nav, Bluetooth and DAB radio, although the full list runs far longer. Like it’s saloon sibling, the S-Class Cabriolet also gets a vast quantity of state-of-the-art safety equipment as standard, including a Pre-Safe system that uses the seatbelts to pull occupants into the best possible position if it detects that a crash is imminent, and automatic emergency braking to hopefully prevent the crash happening. 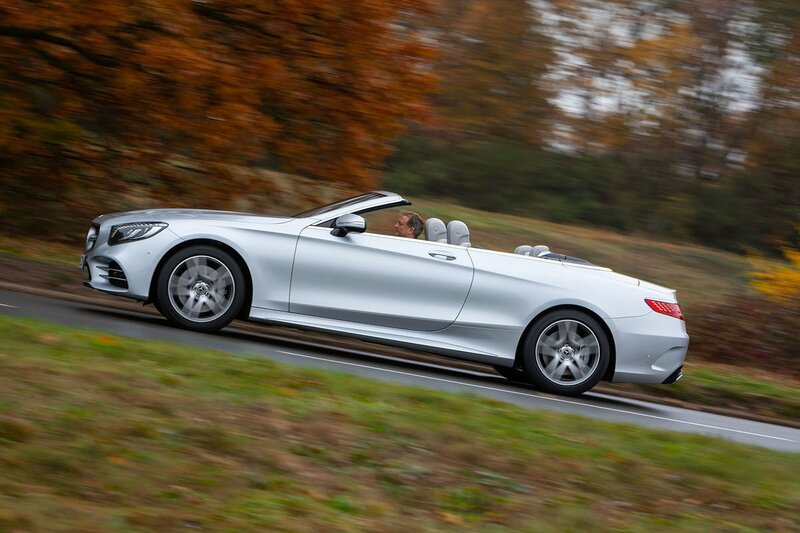 However, because Euro NCAP hasn’t tested the S-Class Cabriolet, we’re not able to give it our five-star rating. 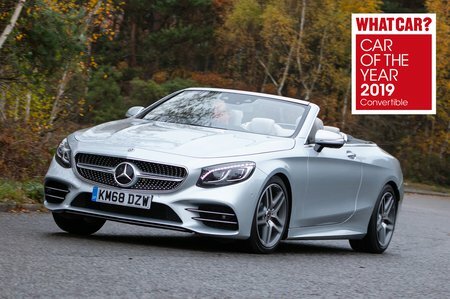 From its monstrously powerful yet exceptionally smooth range of engines to its luxurious and spacious interior, the S-Class Cabriolet is unrivalled when it comes to effortless drop-top motoring.